NEW MILFORD — American Legion Ezra Woods Post 31 has recognized state Rep. Cecilia Buck-Taylor for her work to advance its programs. Post Commander Jeffrey McBreairty has presented Buck-Taylor with an official certificate of appreciation. 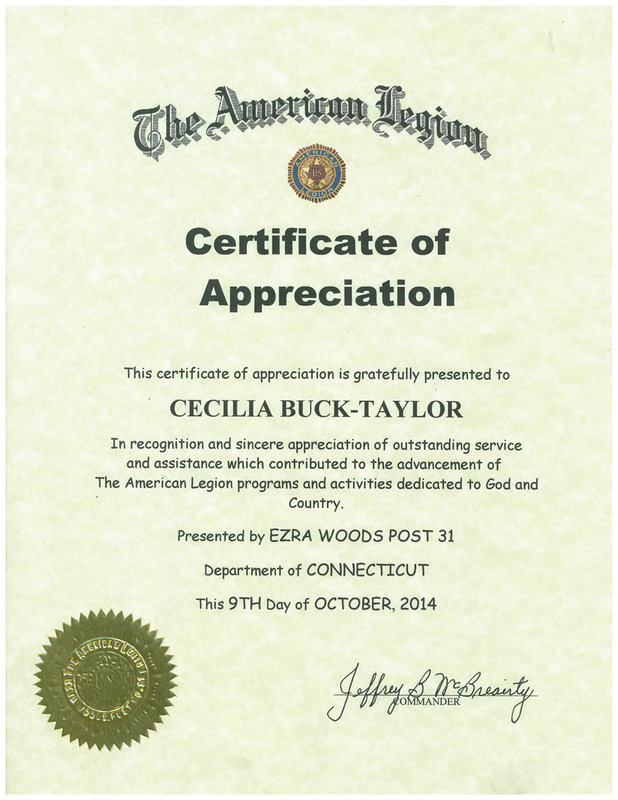 Buck-Taylor, who serves the 67th House District, has been and will continue to be active and influential in veterans-related issues both at the Capitol and here in New Milford.